The dust raised by the unauthorised search of the Abuja residence of Elder Statesman, Chief Edwin Clark is yet to abate as the Inspector General of Police, Ibrahim Idris has ordered the immediate disbandment of the IGP Special Tactical Squad (IGP-STS). This is as Governor Seriake Dickson of Bayelsa State yesterday appealed to Niger Delta leaders to accept the apology tendered by police authorities over the invasion of Chief Clark’s residence. Armed policemen had on Tuesday, invaded the Asokoro home of Chief Clark over allegation of stockpiling arms in his house. However, the police authority in a swift response denied knowledge of the raid as well as denied authorising it. 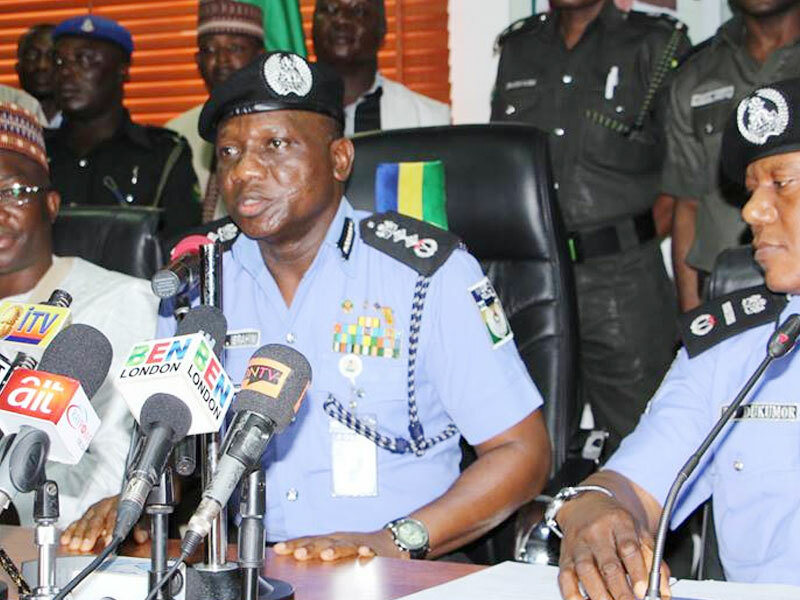 The force in addition had on Thursday through a press statement by the Force Public Relations Officer, Acting DCP Jimoh Moshood announced the dismissal of Inspectors Godwin Musa, Sada Abubakar and Yabo Paul. The police in the statement added that, the said leader of the raid ASP David Dominic was under investigation and may also be dismissed if found culpable. The IGP also sent a high powered delegation to apologise to Chief Clark over the unfortunate and embarrassing incident. Though the Elder Statesman said he accepted the public apology of the police, nonetheless he wants the matter to be thoroughly investigated and the real mastermind of the raid exposed. Chief Clark in a petition to President Muhammadu Buhari and the National Security Adviser, alleged that the Deputy Commissioner of Police, Yusuf Kolo, Commander of the Inspector General of Police (IGP) Special Tactical Squad and Assistant Inspector General of Police (Federal Intelligence), Umoru Usman were those who ordered the raid and search on his residence. In the petitions with reference No KACCL/PET/KA/76/18 and dated September 6, 2018 signed by his Lawyer, Dr. Kayode Ajulo, Clark wondered why the police authorities who were in the know of the masterminds and conspirators of the invasion were going after the four junior officers who were merely carrying out instructions from their superiors. However, a statement by Force Public Relations Officer, on Acting DSP Jimoh Moshood, on Friday announced the disbandment of the special unit with immediate effect adding that senior officers indicted in the raid would be dealt with accordingly. The statement further noted that while the personnel in the STS would be redeployed to other departments in the force, their responsibility would be collapsed and be carried out by other operational, investigative and response units of the Force. The statement read, “Inspector General of Police, IGP Ibrahim K. Idris, NPM, mni has ordered the immediate disbandment of the IGP Special Tactical Squad (IGP-STS) and the redeployment of all the personnel of the squad to other departments/formations of the Force. “Senior Officers attached to the erstwhile Special Tactical Squad (STS) who were linked with complicity or played conspiracy role(s) in the unauthorised, illegal and unprofessional misconduct in the search of Elder Statesman, Chief Edwin Clark’s residence in Asokoro, Abuja on the 4th of September, 2018 are now undergoing strict disciplinary procedures. “The tactical operations and statutory core Police duties that the dissolved Special Tactical Squad (STS) were charged with are now collapsed and will be carried out by other operational, investigative and response units of the Force. 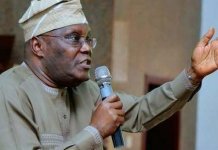 Dickson’s plea followed the rejection of the regrets expressed by the Inspector General of Police, Mr. Idris by some of the leaders in the region, including the Ijaw Youth Council (IYC) which described the apology as an afterthought. He lauded the police boss for the ‘thoughtful act’ of tendering an apology to the 92-year-old Niger Delta elder and leader as a follow up to the raid. A statement by the Special Adviser to the Governor on Media Relations, Mr. Fidelis Soriwei, stated that the Governor made the call while addressing a meeting of Ijaw youths in his country home of Toru Orua on Friday. Governor Dickson who had earlier called on the police authorities to apologise to Pa Clark, the Ijaw Nation and Nigerians in general over the action, said since the police authorities had already punished those behind the ‘infamous harassment’ of the elder statesman, there was no need for further trouble. However, the Bayelsa Governor urged the IGP to institute a mechanism to prevent the rampant harassment of innocent citizens by police operatives on frivolous allegations. He added that the harassment and destruction of properties across the country was denting the image of the police and the government. He stressed that the failure of the police to discover arms and ammunition in the residences of those raided by the police only showed the need for the IGP to take a second look at his internal mechanisms to prevent abuse. 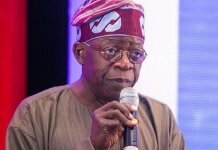 Dickson said: “I want to commend the Inspector General of Police and the police authorities for tendering an apology to our leader, Pa Edwin Clark, over the unfortunate raid of his Abuja residence on Tuesday. “The IGP sent a high-powered delegation of senior police officers led by a Deputy Inspector General of Police, Mr. Habitat Joshak, alongside other top police officers to convey the apology of the police authorities to Pa Clark. I am of the view that that shows respect and genuine show of apology. “I urge the leaders, the youths and people of the Niger Delta to accept the apology of the police authorities because they have already commenced steps to punish those involved in the unnecessary raid of Pa Clark’s residence. “However, I call on the IGP and indeed the police authorities to stop the rampant harassment on innocent citizens by the police on frivolous allegations. He advised the youth leaders to be calm and await further steps that the IGP will take on the harassment of the elder Statesman.